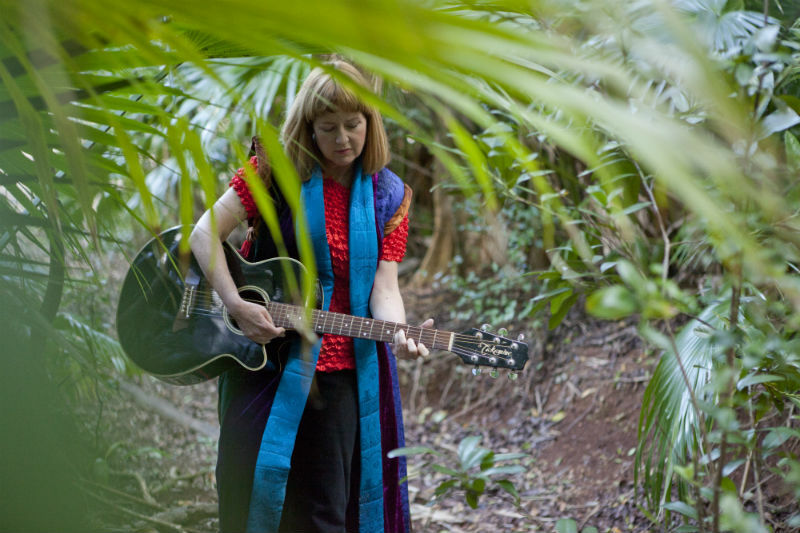 “I had guitar lessons and have written over 60 songs, performed at most local pubs, as well as Chewstick, facilitating a songwriting workshop for them last year on Paget Island. “I probably do one of my songs to every two cover songs, with some adaptations of cover songs for humour. I write about what matters to me; love songs, social commentary, and environmental issues. I recorded first in the United Kingdom. My first CD of original songs, “Never Tell Them Why,” came out in 2004, produced by Bermudian Michael Spencer-Arscott. When asked what drives her to celebrate Bermuda in particular, Ms. Sherwood said, “Growing up in a small family-run hotel meant helping visitors enjoy my island home. I was inspired by the beauty and particularly the bright colours which lent to my most popular song, “Colours of Bermuda,” on my Be Fabulous CD. “I was involved in developing the Railway Trail in the 1980s, and that put me in a perfect place to write about it authentically twenty years later. A recent focus has been on the marine side with the Aquarium Song, promoting the island to our overseas visitors and locals. Finally, we have such amazing characters, from Johnny Barnes to Neil Burnie – I call them local legends. “I am also passionate about conservation, having worked for the Bermuda National Trust, and appreciate our culture. “My CDs are available on my website and also at Brown & Co, Masterworks, Hand Made in Dockyard, and Memories in St. George’s. I would like to express my appreciation to the local radio stations who make a huge effort to give airplay to local artists, especially David Lopes on Inspire 105. For more information, visit Ms. Sherwood’s website. I hear Sesame Street/the Electric Company might be interested in signing her to their label! Awesome Lady and personal friend. Val is a very talented lady with a beautiful voice ! I love her music.